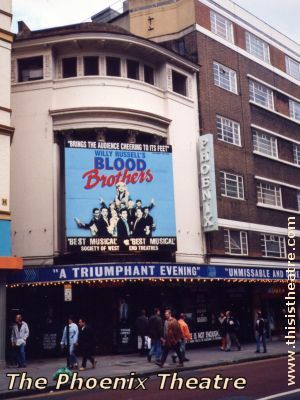 London is well-known for its theatres and cultural live. One of these theatres is The Phoenix Theatre. It opened in 1930 and is a curious mix of traditional classical theatre architecture and the Art Deco style. In this treasure hunt, you have to find answers to some questions about this and other theatres in London. 1. How can you get to the "Phoenix Theatre"? 2. Which play could you see there today? 3. What kind of play is it? 4. Tell us about the main plot of the play? 5. Apart from the actors, who else works in a theatre? 6. Could you apply for a job in the Phoenix theatre? What vacancies are available at present? 1. Which are the main theatre areas in London? 2. Which are the oldest theatres? name at least three of them. 3. What's the name of the theatre where Shakespeare performed most of his plays? 4. Have a look at what's on at the moment and choose at least two spectacles you would like to go to.